As you have read in the title above, I am bored with my hair. Although I am a lazy natural and do not take care of my hair as often as I should, every so often I find myself getting bored with my hair. After months of doing twist outs, braid outs, bantu kots, head wraps and puffs, I have found that I have become bored with my hairstyle choices. Due to the fact that I have become increasingly busy, I no longer have the time to do my hair and thus find myself repeating hair styles over and over again. Now I want to try something different. I want to take a risk with my hair instead of constantly worrying about length and growth. I was thinking of dying my hair a random color such as silver or purple. I know that these colors are not the typical light brown or burgundy that most naturals tend to stick to when it comes to dying hair, but I do not like to do what everyone else does so they would be perfect for me. A streak of purple or a streak of silver would be new for me but it would allow me to move out of my comfort zone and add some personality to my hair and my appearance. However, I am terrified of having to repair the damage done from bleaching and coloring my hair. I also thought about giving my hair a break all together and doing marley twists again. I loved my twists when I got them done last summer and I would not mind having them again, except I would want my twists to be much larger (I love big chunky twists). This option would be a win-win for me because while I can enjoy trying new things to the marley hair, my own natural hair gets to be protected from the winter approaching. 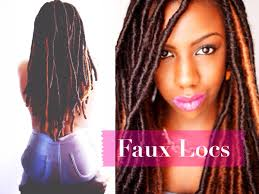 Lord knows I love my twists but I am also contemplating getting faux locs again. One of the main reasons I love chunky twists is because they share a similar look to locs, so why not just get faux locs and call it a day? (the take down process is also much much easier). As indecisive as I am, it will take me a while to finally make up my mind, but as for you all, what protective styles or new things are you trying with your hair for the winter? Even abysmal rapper A$AP Rocky has gone out of his way to share about his disgust of darker women wearing red lipstick. One may think, ‘oh who cares about the opinion of some rapper guy,’ but the truth is that he is only regurgitating what he has been taught all of his life–dark skinned women are ugly. Well I’m here to prove that this statement is a complete and utter lie. Any shade of the spectrum can wear any color lipstick they want because all shades of brown are beautiful. For far too long, darker women have been oppressed on their choices to do what they want with both their hair and faces and I’m not gonna take it anymore. My purpose in posting about this is not to continue beating a dead horse, but to instead ask all of you readers a couple questions. Why is the way in which we wear our hair so important to others? 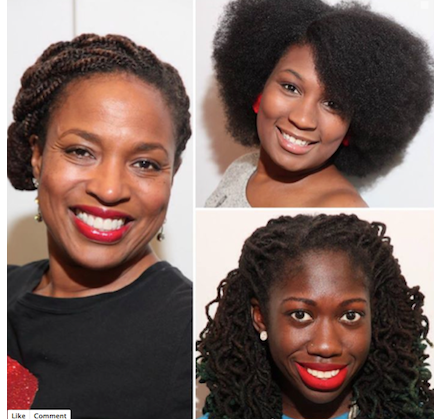 How can we change the dynamics so that way every hair type can be accepted? I cannot speak for American culture, but I have noticed in West Indian culture, if a person chooses to wear dread locks, they are automatically a Rastafarian. For those who are unaware, a Rastafarian is a person who practices Rastafarianism, a religion originating in Jamaica. People who follow this religion abide by certain criteria such as wearing dreadlocks and refraining from consuming pork. In Jamaica, Rastafarians are rejected in society and are considered to be low class citizens. 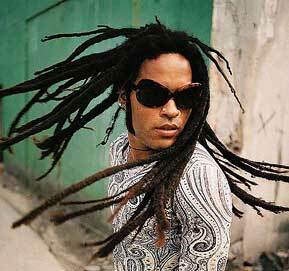 Because of this stigma, the majority of Jamaicans do not wear dreadlocks so they will not confused with Rastafarians. Even with West Indians who have migrated to other parts of the world, the stigma of wearing dread locks still resignates with them. Many West Indians automatically consider a person who wears dreadlocks to either be dirty or poor and thus a Rastafarian. As a member of the natural hair community, I have to defend my fellow brothers and sisters. I don’t believe that it is fair to pass judgement on the way in which a religious group or anyone decides to wear their hair. It is not fair to the religious group, nor to the individual. I understand that with old ways of thinking, it can be hard to break the stigma, but it is in no way excusable.